Beaver Stadium is the Penn State football stadium located in State College, Pennsylvania. It is home to the Penn State Nittany Lions of the Big Ten Conference. The stadium is named for James A. Beaver, a former governor of Pennsylvania and president of the university’s board of trustees. The original Beaver Stadium was built in 1909 and had seats for 500 spectators. The present Beaver Stadium was completed in 1960 and has a capacity of 106,572, making it the second largest stadium in the United States and fourth largest in the world. 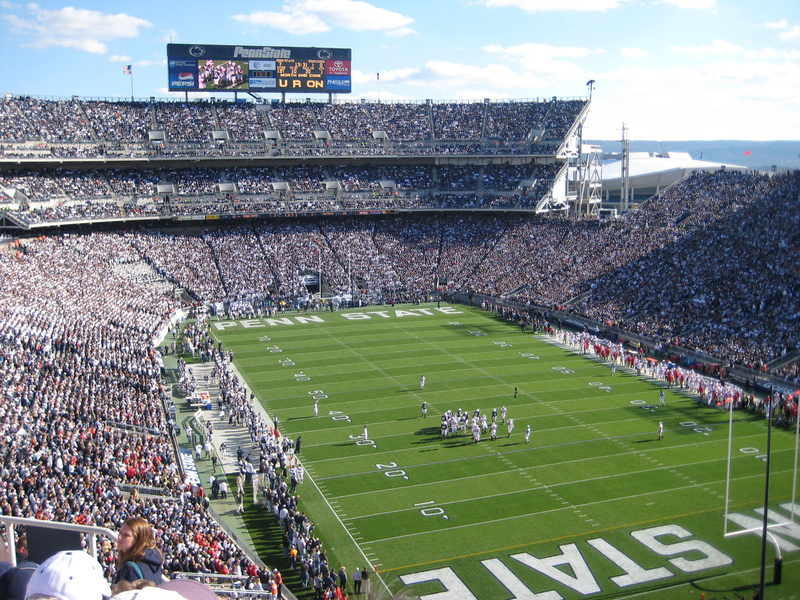 Beaver Stadium’s record crowd of 110,753 witnessed Penn State’s 40-7 victory over Nebraska in September, 2002. That year, Penn State also set an NCAA record for largest season attendance, with 1,257,707 watching Penn State games over the course of the season. Happy Valley is used as a nickname for State College, Pennsylvania. Commentators referring to Penn State athletic events often give the location as Happy Valley rather than mentioning State College or Beaver Stadium.